AV-Comparatives, an independent testing organization, published its annual IT Security Suites for Small Businesses Review. In this in-depth analysis of IT security solutions from nine vendors, it provides business customers with relevant evaluation of each vendor’s security products. The following ESET next-generation business products were reviewed: ESET Remote Administrator, ESET Endpoint Security for Windows, ESET File Security for Windows and ESET Endpoint Security for OS X. The review itself was divided into sections such as Documentation, Management Console, Windows Client Protection Software, Windows Server Protection Software, and Mac Client Protection Software to cover the most important areas of IT security for small businesses. Moreover, according to AV-Comparatives, ESET Remote Administrator is suitable to manage networks not only of small businesses, but also enterprise-level and it is very straightforward to set up. 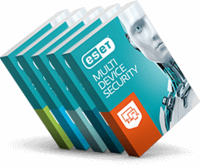 “All ESET next-generation business products are neatly designed and have easy-to-use protection software. The high degree of consistency among the versions for different platforms and also between the client software and the console can simplify the life of IT administrators,” states the AV-Comparatives Review. For more information and the latest news on ESET Business Products, visit our website. The complete Business Review 2015 is available from AV-Comparatives website.